It was also tough going in the Dominican. Chris Madera went hitless in three at-bats for Estrellas Orientales. For pitchers Marcus Walden took the loss for Toros del Este, throwing 5 2/3 innings and giving up four runs on six hits with three strikeouts. 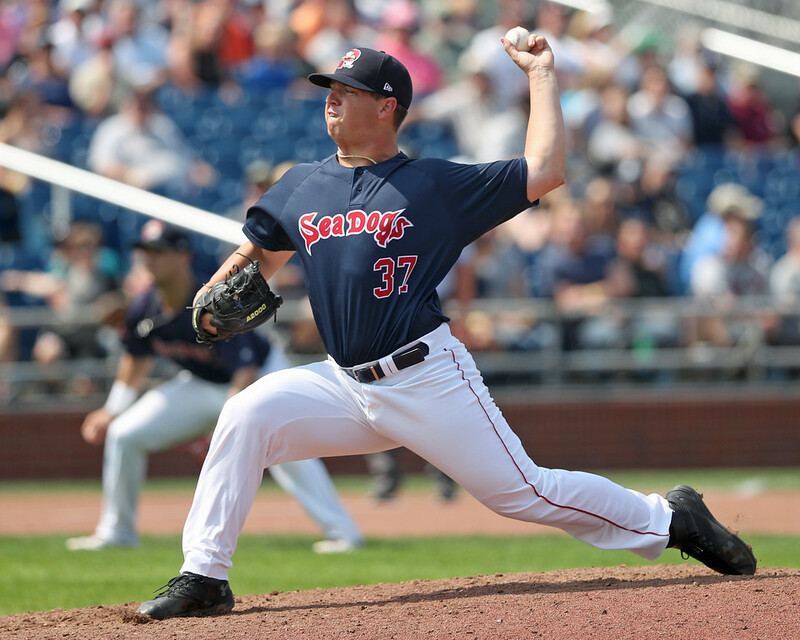 However, Justin Haley managed two solid starts this week without earning a decision. Between the two starts, he threw 11 innings, with 10 hits, three walks, two earned runs, and six strikeouts. Bryce Brentz had a solid week for Hermosillo, mustering six hits in 18 at-bats and launching his league-leading seventh home run of the season. Brentz did also walk eight times over the course of the last week, including a three-walk outing on November 11, and has raised his OBP to .342 on the season along with a .467 slugging percentage. Chandler Shepherd took the ball twice and went home with one win and one loss on the week. In his win, Shepherd went 5 2/3 innings, allowing one run on four hits and two walks, while striking out two. He was not as fortunate in the loss, though, as he surrendered six runs on nine hits in just 3 2/3 innings, though he did manage to strike out six. Dedgar Jimenez had two appearances this week, one out of the bullpen and one as a starter. He fared better as a starter throwing four innings with one unearned run on three hits, and out of the bullpen allowed three earned runs on three hits in 3 2/3 innings. For the hitters, Deiner Lopez logged the most at-bats, appearing in five games. On the week, he went 5-for-8 with two runs, three RBI, two walks and two strikeouts. Juan Hernandez appeared in two games without an at-bat. Oddanier Mosqueda had a strong week in Venezuela, taking the ball once and and striking out seven over five scoreless, one-hit innings. Eduard Bazard had a similarly good week, notching two wins across two appearances totaling five innings of scoreless relief. Pedro Castellanos had a good week at the plate, as he tallied hits in all but one game. Castellanos put together a 9-for-20 week, with four RBI and four walks. Thus far, Jose Sermo has slashed .208/.375/.345 with five walks for Monteria, though four of his five hits have been doubles. The Puerto Rican Winter League had been slated to kick off this week, but has been pushed off because of the damage done to the island by Hurricane Maria. Games will now begin on January 6, 2018 according to the League's official site, and will be free for all fans to attend. The Red Sox are sending one representative to the ABL this year. Native Aussie Daniel McGrath will be suiting up for the Melbourne Aces when the season starts on November 16. Photo Credit: Bobby Poyner by Kelly O'Connor.